Evan M. Levow is the managing partner of Levow & Associates, practicing in New Jersey and Pennsylvania, is a nationally recognized DWI defense attorney. 100% of his practice is devoted to DWI / DUI defense. Evan Levow is often referred to as the DWI attorney’s attorney, as he is frequently sought out by other attorneys to discuss strategies on how to defend their own clients. He appears in local and national newspaper headlines, and has had numerous television and radio appearances where he speaks on the intricacies of DWI law and defense strategies. Evan teaches both the “Technical & Scientific Defenses in Alcotest Cases” and the “Defending a DWI Blood Case” courses at the New Jersey Institute for Continuing Education. 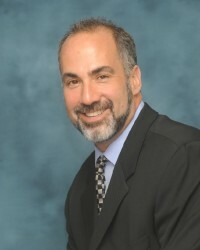 He is a repeat guest speaker at the “Mastering Scientific Evidence in DUI / DWI Cases” annual conference for the Texas Criminal Defense Lawyers Association, and for the past 3 years has taught the “DWI Defend With Ingenuity” course at the National DWI Seminar for the National Association of Criminal Defense Lawyers in Las Vegas. 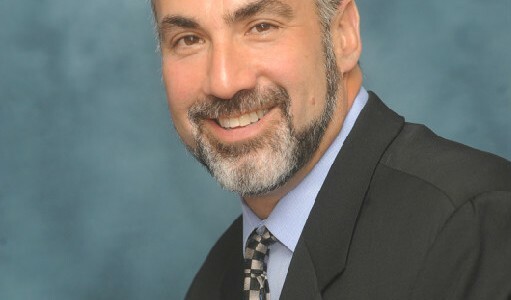 He has also taught the Continuing Education Alcotest Course for Connecticut lawyers, and was a lecturer for the Ohio Association of Criminal Defense Lawyers and for DWI lawyers in Wisconsin. Evan has lectured to countless groups throughout the country on “Strategies to Win Bench Trials”, breath testing, blood testing and field sobriety testing. He is currently authoring 2 books: The DWI Book – New Jersey and New Jersey DWI Defense: The Law & Practice. Mr. Levow owns both of the breath testing machines in New Jersey, The Breathalyzer and The Draeger Alcotest® 7110. He bought these machines so he could understand their flaws so that he could better defend his clients. Evan represented the lead defendant in State v. Chun, the landmark DWI breath testing case in the New Jersey Supreme Court and the most important DWI case in New Jersey history. Mr. Levow was recognized by the National College of DUI Defense for his exemplary work in State v. Chun and for the important role he played in shaping DWI defense in New Jersey. Mr. Levow also represented the lead defendants in State v. Kent and State v. Renshaw, the landmark blood testing evidence cases in New Jersey. Evan’s work in these cases changed how the state is required to present witnesses to establish how blood was drawn and tested, and allowed for the protection of the constitutional right to confront witnesses. Mr. Levow is qualified by The National Highway Traffic Safety Administration as an Instructor in field sobriety testing. Evan is also certified by The National Highway Traffic Safety Administration in the DRE – the Drug Recognition, Evaluation and Classification Course. Evan graduated Rutgers Law School in 1991 where he was awarded the William S. Kulp Scholarship Award for academic excellence and outstanding scholar potential. He was admitted to both the New Jersey and Pennsylvania Bars in 1991. In 1992, he was admitted to the Bar of the U.S. Court of Appeals 3rd Circuit. In 1995, Mr. Levow was admitted to practice law in front of the U.S. Supreme Court. He has argued before the New Jersey and Pennsylvania Supreme Courts. New Jersey DWI attorney Evan Levow has been selected as: Best Lawyers in America, 2008, 2009, 2010, 2011, 2012, 2013; Super Lawyers 2010, 2011, 2012, 2013; New Jersey Magazine Top Attorneys, April 2010; and New York Area’s Top Lawyers, 2008, 2009, 2011 as seen in New York Magazine. He has received Martindale Hubbell’s® highest rating for legal ability and ethics: AV® Preeminent™. Evan Levow is an active and respected member of the DWI / DUI defense community. He is a member of: The National College for DUI Defense; The National Association of Criminal Defense Lawyers; The American Civil Liberties Union; The Association of Trial Lawyers of America; and, The American Bar Association.